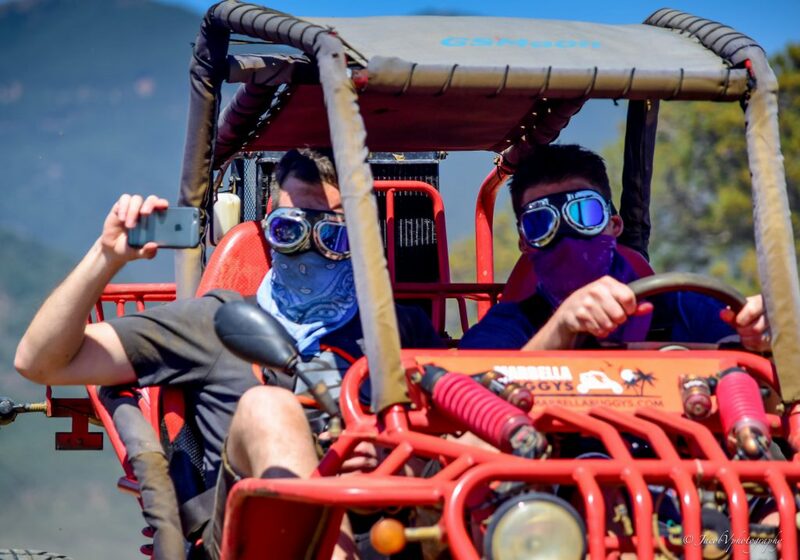 Get dirty with our exciting off-road buggy tours! 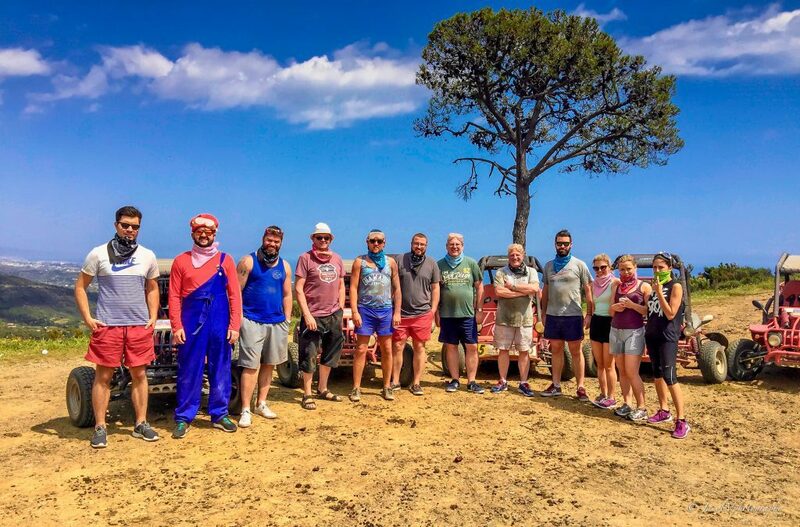 Fun and exciting buggy tour through the mountains of Marbella. In the mood for some adventure? Not afraid to get dirty? 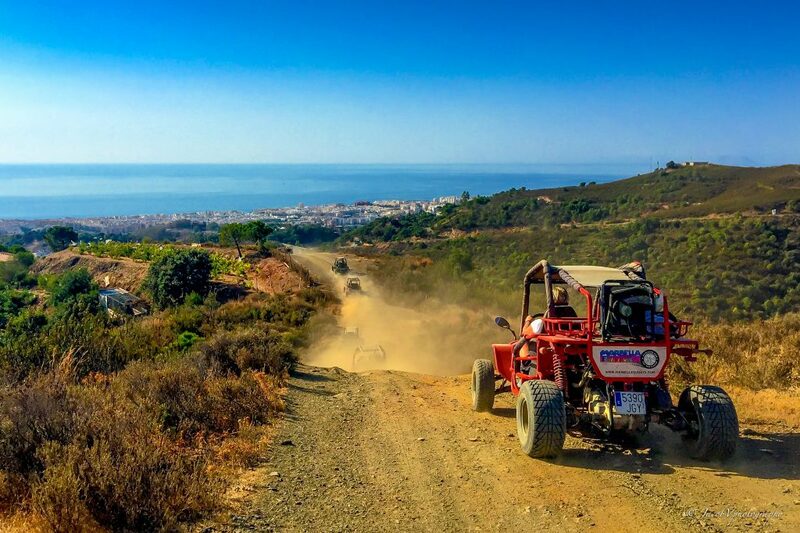 Then this buggy tour in Marbella is by far the coolest thing to do when looking for an outdoor activity. 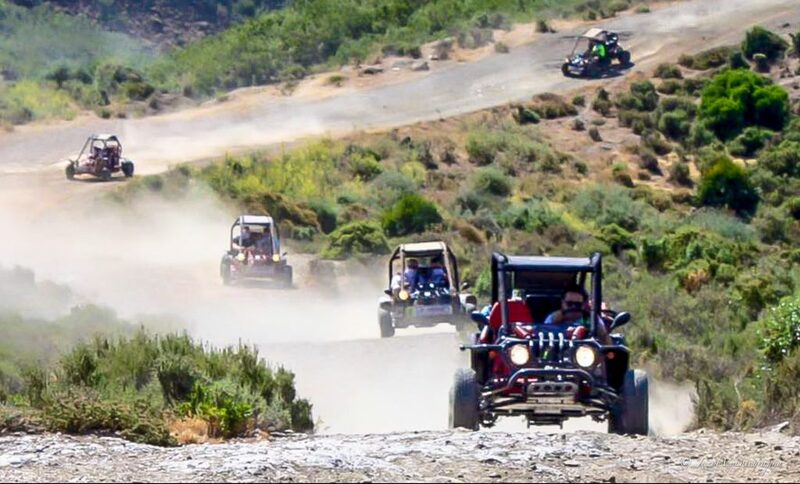 In a small group with a professional tour guide, you will drive your buggy up into the mountains above the Marbella / Estepona area over dirt roads and through the stunning Andalusian countryside. IMPORTANT NOTICE: The mentioned price is per person. You are obligated to book for a minimum of 2 people (1 buggy). In this 2 hour buggy tour we drive over country roads and off road, dusty tracks through the beautiful Andalusian mountains. 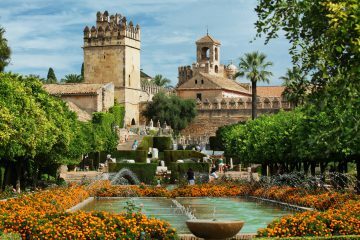 The first stop is after approximately 30 minutes when we have reached a higher altitude so you can admire the beautiful countryside while having the Mediterranean sea as a backdrop. With clear weather, you will even see Gibraltar and Morocco, the North of Africa. While you take in the breathtaking views on the Mediterranean coast we will serve a refreshing drink and give you time to dust off. But not for long! We will pass the narrow city streets of Estepona and continue all the way over dusty off road tracks and streets until we have reached the destination for our second stop. 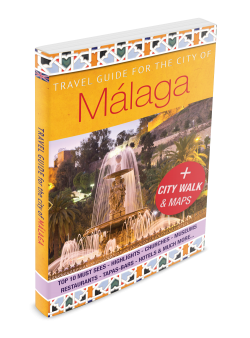 The second stop is once again high in the mountains, but now with spectacular views in the direction of the city of Málaga. You will enjoy another chilled drink after which we continue our buggy tour back to the compound during a 15 minute return trip. Dust goggles and bandadas to protect your eyes, nose and mouth are available at the compound. 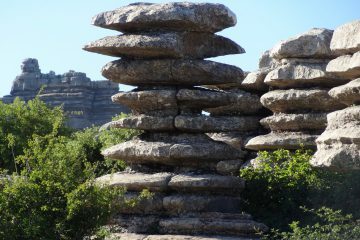 For this tour we partnered up with a very experienced, professional and fully licensed organisation. Although the driving is absolutely sensational, their ‘safety first’ policy guarantees a safe return.